BHNW adopts out our dogs once they are ready and/or stable if medical care is ongoing. For more information on our adoption process, adoptable dogs, etc. please visit the "Dog" tab. Our adoption process is very thorough. We care for each dog as if they were our own and want to do our best to insure the best placement into a forever home. We are not a rescue that rushes placement or omits proper vet care. We feel it is important to not just read about a dog's needs, but to experience them so we can ensure they are going to be matched up to a home properly and responsibly with first hand information. It is also important to not pass on diseases or issues that could otherwise be resolved by watching and observing each dog for at least a week, minimum. It might seem easy to adopt one out within days of arrival, but it isn't responsible and it isn't what our organization does! We really do understand that rehoming is a hard decision and we hope that having an option like us would help ease the pain by knowing it is a very safe alternative to doing it yourself. We only place them in homes that are perfect for them! If your dog has not been spayed or neutered, this is a must prior to adopting them out. This will help you and your dog, by weeding out people who just want to breed and might see them as a loving pet last. All dogs surrendered to BHNW are spayed/neutered prior to going into an adoptive home. In Many cases owners request to be kept in the loop on the progress and placement of the dog which we are more than happy to do. This is also very easy to do via our Facebook page. We can discuss other things if you have something else in mind. Most of our volunteers have been doing rescue for many many years. BHNW is a local organization, not a national one. This insures that we can give each dog the care they need and deserve without being stretched too thin or too far, we also have the option of tailoring to each dog and placement. We understand it is very hard even thinking of the next home your dog may be going to. Rescue is a great resource that many people don't even know is out there. 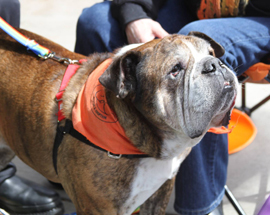 We are all totally unpaid VOLUNTEERS, volunteering so your bulldog can find the type of home you would want for them. We keep track of and place all of the dogs that come through our group as if they were our own. Our organization is devoted to taking our breeds from shelters. Although some shelters feel they may be a hot ticket item on a shelter's adoption floor, which may seem to be the case, what they may not realize is due to the fact that they are expensive to acquire there are usually serious issues with dogs who do end up dropped off at shelters or intentionally unclaimed strays. We have years of experience with dogs who are specifically left at shelters and they almost always have many of the same issues. Yeast infections of the ears and skin, mange (which is difficult to see on bulldogs due to the overlaying yeast that usually partners with it in the breed), food allergies, back/spinal issues, inverted tails, tail pockets, cherry eye, breathing issues which can lead to death without proper surgery, potty training issues (which Frenchies are notorious for), behavioral issues, and more. As a shelter, the best thing you can do for a Bulldog in your care is contact a breed specific rescue. We are always willing to look over a dog you have even if you do not intend to transfer it! If you think you may have a pregnant dog at your shelter please contact us! Birthing for a bulldog and the pregnancy duration is very risky for both mother and unborn puppies. Dogs must be delivered by Caesarian Section or the risk of death and complications for both is very high. Our organization does not take in stray dogs unless contacted by a legal stray-service-contracted animal shelter to do so. BHNW has a long working history with many shelters across the northwest region. We understand how the shelter system works (a number of our volunteers work within shelters in some capacity) and we want to stick to our secondary part in this process and be here to lend aid to shelters in need of our help. 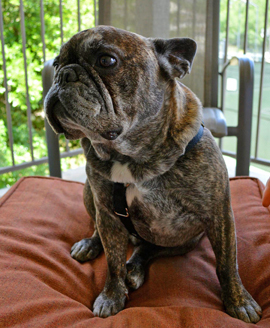 If you have found a Bulldog, Frenchie, or mix thereof and choose to personally house/keep a pet you found instead of taking it to the shelter contracted for the area in which is was found, the law requires you to keep it for a minimum of 30 days before attempting to find it a new home or doing any non-emergency vet care such as vaccines and spay/neuter surgeries. Rehoming a found dog before the 30 days is up or not properly looking for and reporting the dog as found to the proper shelter is illegal and may subject you to theft and sale of stolen property charges. This goes for rescue groups like ours also. If you have questions about this we would be happy to talk to you. If you have found a bulldog, we may already know it is missing. That is another reason to contact us. Placement Assistance may be offered to the public who need to rehome their Bulldog, Frenchie, OEB and are in a position to keep them for any length of time and wish to place them personally without the help of BHNW. If you need to rehome your dog and it is dog-aggressive Placement Assistance is what BHNW prefers to try. Often times dog-aggression is increased in a change of environment which would hinder placement in a foster home. Foster homes who have no resident dogs are also very limited and may already be filled with a dog like yours who is actually homeless and did not come directly from an owner. If we feel you might be a good candidate for Placement Assistance we will direct you to the correct private Facebook groups so you can post your dog's need for a new home there. Your dog MUST be spayed or neutered before we can offer this and you will be required to show proof of this from a licensed vet. Courtesy Listings are only offered to Animal Shelters, Humane Societies, and approved private rescue and/or placement organizations and these dogs must also be spayed and/or neutered to receive this help. If you receive one of these forms of placement help you or your organization will receive all inquiries, weed through potential homes, and be responsible for all things pertaining to the placement. Again, all dogs must be spayed or neutered prior to being listed. If you would like to talk to us about rehoming your dog through a one of these options please contact the Intake Organizer at surrender@bulldoghavennw.org. If you are interested in adopting a Courtesy Listing dog or dog receiving Placement Assistance please do not contact BHNW. Please use the owner or listed organization's contact information provided for that dog in the listing. 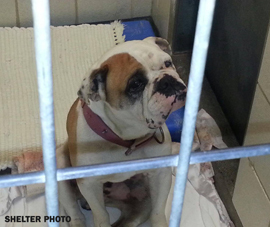 Bulldog Haven NW has not met dogs being posted through this specific resource, we have no part in their placement, or outcome.